wholly owned and operated by the Pueblo of Sandia. 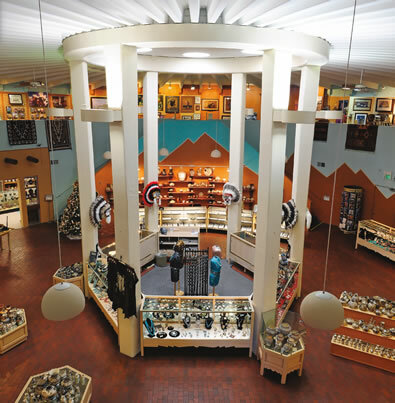 The kiva-shaped showroom, located in Bien Mur, has been an Albuquerque area landmark since 1975. Through the years, Bien Mur Indian Market Center has continued to maintain a reputation for offering quality, authentic, handmade Native American arts & crafts. Bien Mur means “Big Mountain” in the Tiwa language, named in honor of the majestic Sandia Mountains. Bien Mur is located North of Albuquerque on the Pueblo of Sandia reservation. Bien Mur is known as a first-class tourist destination by providing exceptional customer service. You can rely on the fact that you are buying genuine Native American creations at honest prices. Reliability, quality, and extraordinary one-of-a-kind pieces are the trademarks of Bien Mur Indian Market Center. Bien Mur Indian Market Center strives to promote special events with featured artists. This offers a unique opportunity for the general public to interact with craftspeople, providing a special occasion to learn about Native American culture and tradition. Take 1-25 to Exit 234 and turn East on Tramway Road. Turn right on Rainbow Road. We are located next to the Bien Mur Travel Center in the circular building. Bien Mur is an active member of the Indian Arts & Crafts Association, a national entity made up of Native American craftspeople, traders, dealers, collectors, museums and others concerned with the image and marketing of Native American Arts & Crafts. The Association’s members subscribe to a code of ethical business practices and are knowledgeable about the products they sell. 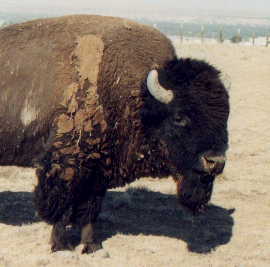 A special attraction is the 107-acre Buffalo preserve established by the Pueblo of Sandia to promote the resurgence of the American Bison. They were all but exterminated during the mass slaughter of the eighteen hundreds. 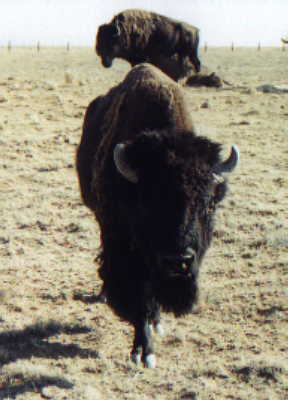 Thanks to efforts such as this Buffalo preserve, the buffalo are now thriving in herds across the West. 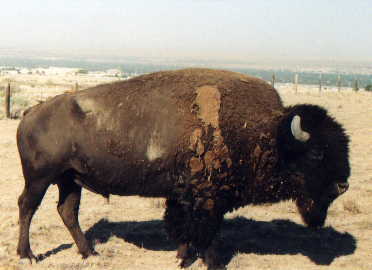 It is rare, however, to have a buffalo preserve located next to an urban area. We encourage you to experience these magnificent animals in their natural setting while visiting Bien Mur. 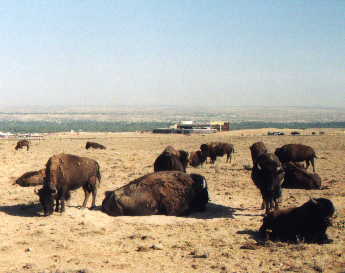 The western most extent of the Buffalo preserve boundary is East of Bien Mur and borders the parking lot. Photography is allowed without any special permits.